The international journal for foot orthotics - foot&shoe - is a new, english journal for people manufacturing or prescribing orthopedic aids for the foot. 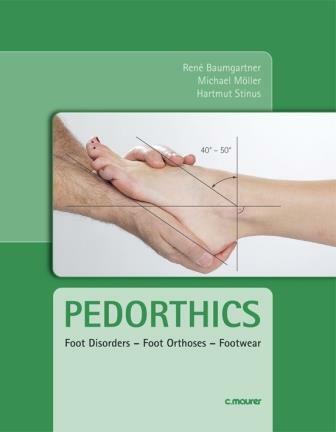 Founded as the English version of the journal “Orthopädieschuhtechnik” it now dedicates itself independently to all topics important for an optimal treatment of foot problems. Medical issues as well as strategies for the optimal production of aids are being presented and discussed there. Especially the transfer of basic knowledge around the foot and shoe is emphasized. At the same time the journal views itself as a medium for the interchange of the international community of all those working in this area. 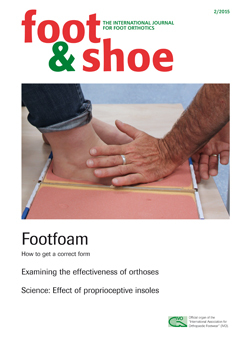 The foot orthotics magazine - foot&shoe - is published twice a year and distributed worldwide.